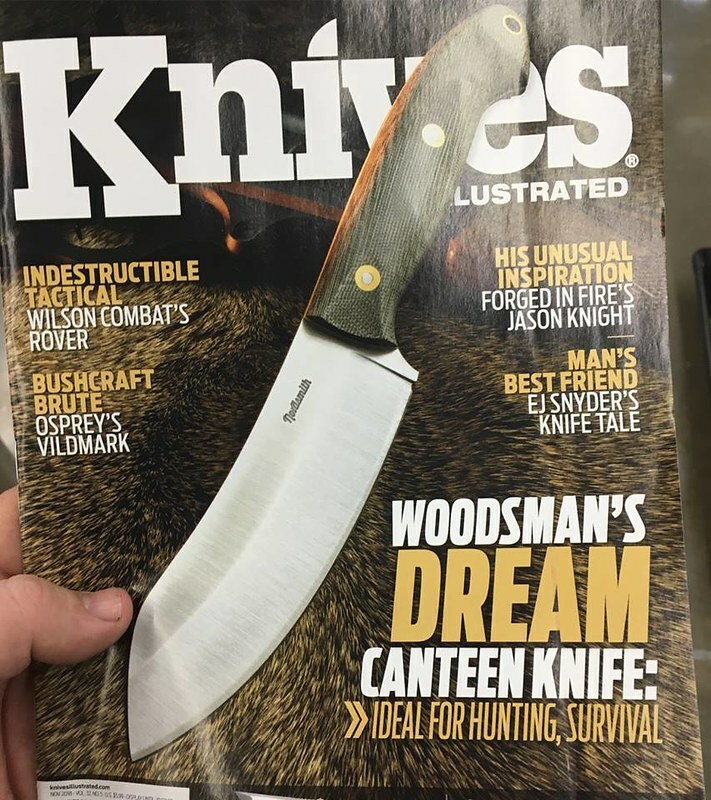 If you pick up a copy of the November 2018 "Knives Illustrated" magazine, you'll see a well-written article about one of my knives by Waysun Johnny Tsai. 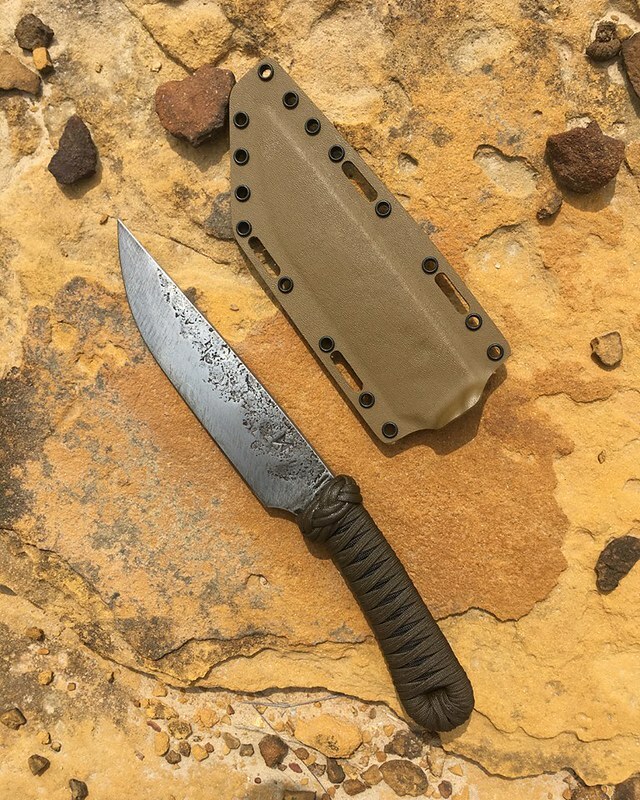 This 7 1/2" bladed variation of my Benghazi Warfighter model got put through a pretty thorough series of tests and did what it was supposed to. Thanks to Waysun for the testing, the article, and the good-quality photos. Very nice! Are you selling autographed copies? Thanks! I'll gladly autograph a copy if you want to send it to me. Don’t know how I ever missed this but see you’re local to me... think I saw a link to your work a year or so back over on one of the knife threads on ADVrider... cool! Do you only sell through dealers or do you sell to individuals? I’d be very interesed in a 9” version of your Benghazi Warfighter...or the original for that matter! 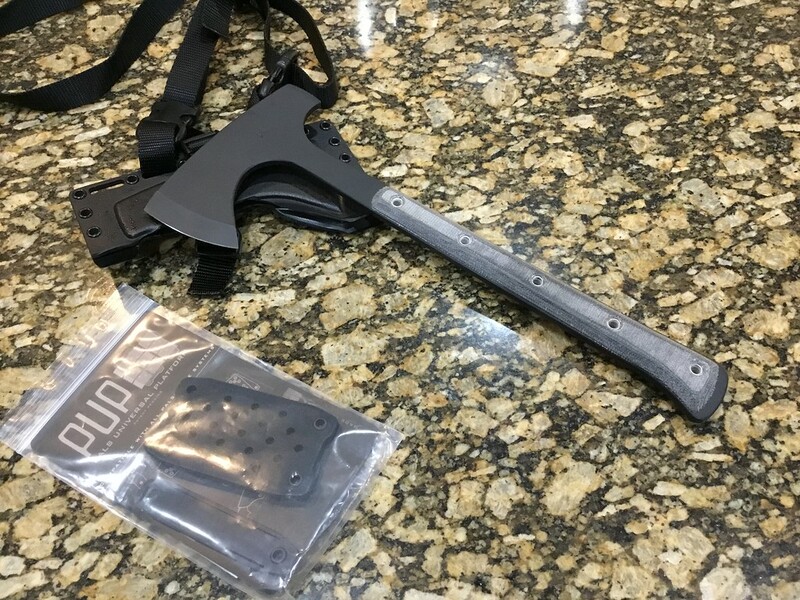 Can PM you contact info if you’re interested. 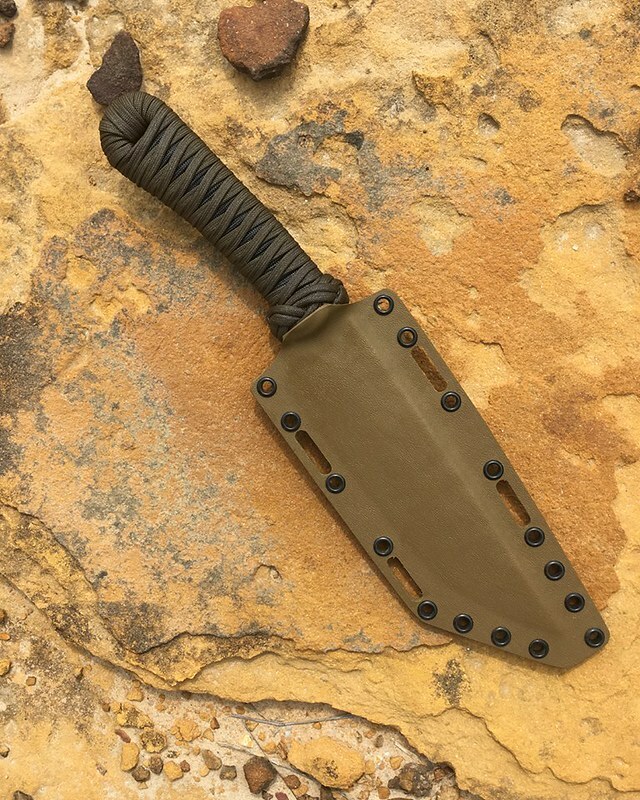 91Eunozs - I've got an 8" Benghazi Warfighter forged out sitting around the shop. I'll DM you. I sell both to individuals and dealers. My business model is changing somewhat. 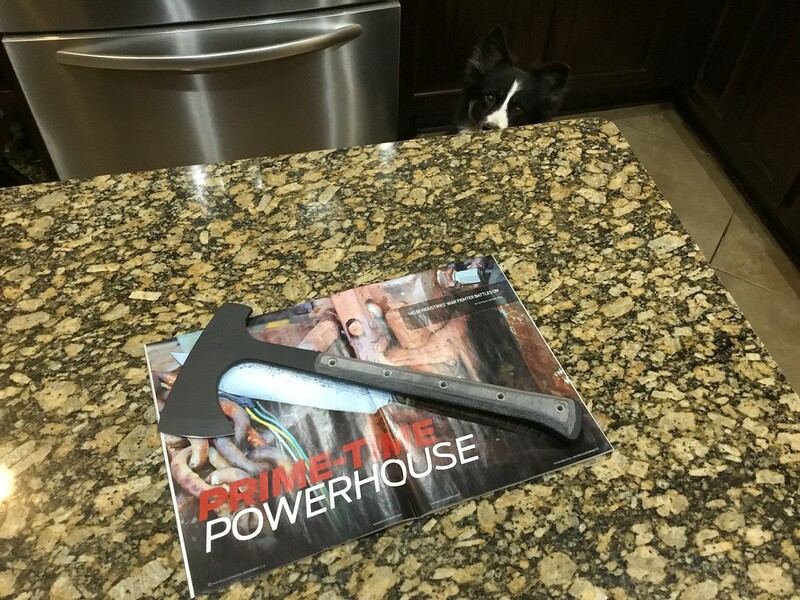 Instagram and Facebook have allowed me to post up a blade that I've forged which is not slated for anyone and it will get claimed by someone within 24 hours, sometimes as fast as 20 minutes. My record is 3 minutes after posting. It is very liberating as a knifemaker. No cool knife yet, but the woodsman did show up today! Way after dark by the time I got home from work... Better pics mañana. 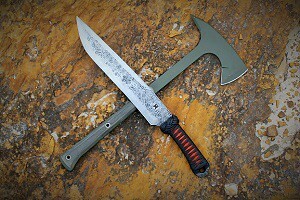 Bonnie says it’d look a lot better paired with a nice 9” Warfighter or Bowie-like knife... just sayin’! Can you go into more detail about the article? This is great news! So glad for your SC!!!! What details would you like, Moab? Thanks! Finally got a chance to sit down after doing Blade Show West. 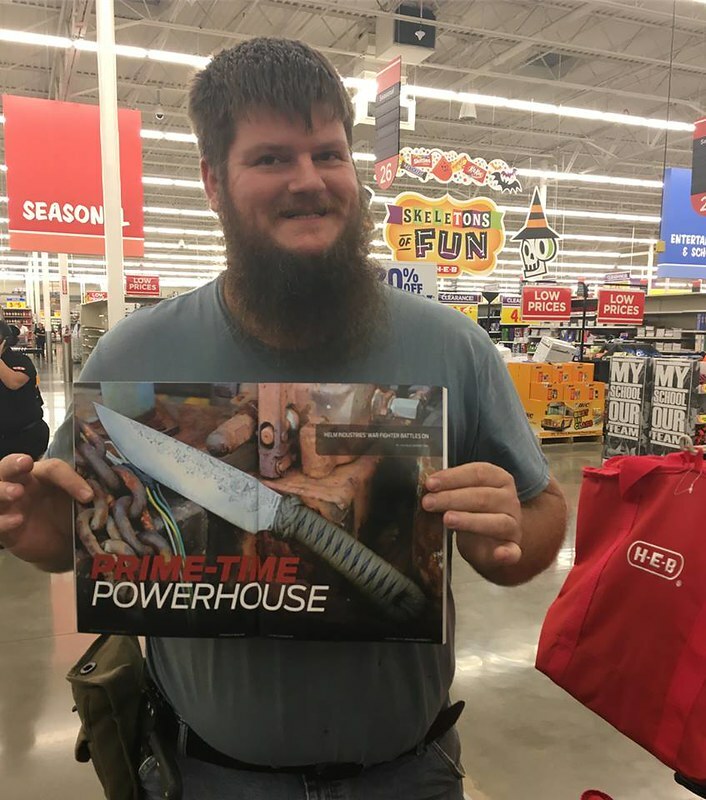 Tests on the knife in the article included a wrap durability and retention test of soaking it and the user's hand in a mixture of water, ice, and dish soap. The retention was solid, and the wrap unharmed. The tip was tested with stabbing an ammo can "a few dozen times" and stabbing a pallet to split the wood. The main edge was tested by slicing chunks out of the pallet wood, cutting a traffic cone, and slicing carpet from a roll and several more cuts on the carpet afterward. The result was the edge still being "paper-slicing sharp when I was finished". The soapy ice water test and carpet slicing test were particularly interesting to me.